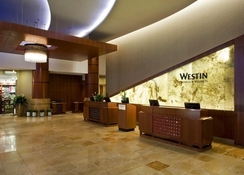 The Westin New York Grand Central located in Manhattan, is a boutique business hotel only a few steps from the Grand Central Terminal. This extraordinary hotel is just 500m from the United Nations building. Boasting of a strategic location and warm hospitality, the hotel welcomes guests with modern, comfortable amenities, inviting accommodations and personalised service. 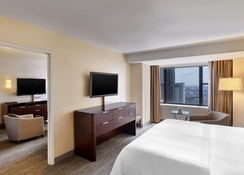 Guests can check into pet-friendly guestrooms and suites with Heavenly® Beds, Heavenly® Baths, as well as ample work desks, flat-screen TVs, Wi-Fi and lovely views of Midtown Manhattan. They have the option to upgrade to a suite to enjoy separate living and sleeping spaces, rainforest showers and marble-floored bathrooms. Offering a free breakfast, a fitness centre and over 15,000 square feet of indoor and outdoor events space, this is easily one of the few facility-filled properties in Manhattan. 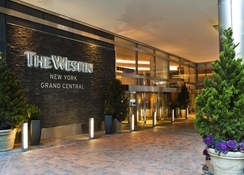 Just a few steps from Grand Central Terminal, a short walk both from the Empire State Building and Madison Square Garden, The Westin New York Grand Central is close to Times Square and everything in Manhattan. The neighbourhood of Murray Hill is excellent for culture, city walks and food and a great evening vibe and nightlife can be experienced at 2nd Ave a short walk away. 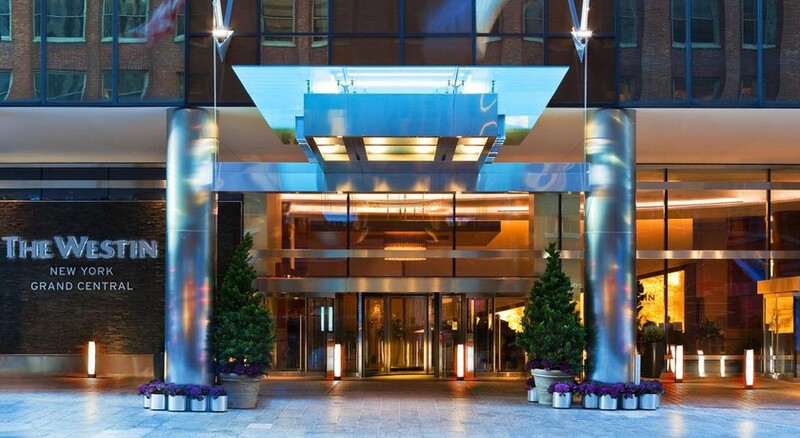 Guests can just walk 10 minutes to reach The Bryant Park and relax amidst nature. The JFK International Airport is about 28km from the property. 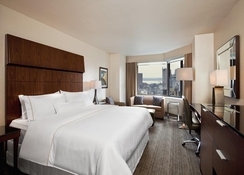 The Westin New York Grand Central has comfortable guestroom sand suites furnished in contemporary décor within steps of city attractions in Manhattan. Relax in a Heavenly® Beds after a busy day or soak into a warm foam Heavenly® Bath or enjoy a relaxing bath beneath the rainforest shower, the hotel has everything to make your stay comfortable. 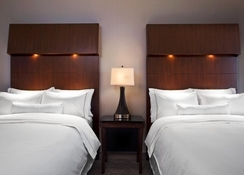 The rooms are equipped with flat-screen TVs, in-room dining, bath amenities and lovely Midtown Manhattan views. The rooms and suites are categorised as Traditional King, Traditional Double, Deluxe King, Deluxe Double, Premium King, Premium King View, One BR Suite, One BR Suite Double, Empire One BR Suite and Presidential. The Westin New York Grand Central offers a Grab & Go breakfast in the morning where guests can recharge with fresh and delicious pastries, fruits, tea, coffee and juices as well as hot chocolate. Room service is offered and guests can order in breakfast in the room. There’s also an on-site bar and lounge where guests can relax with drinks and cocktails. The neighbourhood is full of interesting restaurants serving a wide variety of cuisines. Our Grand Central Station hotel welcomes guests with a state-of-the-art WestinWORKOUT® Fitness Studio, award-winning dining and inviting hotel rooms. Plan everything from an outdoor VIP cocktail reception to an elegant wedding within our 15,000 square feet of versatile hotel venues and event spaces. 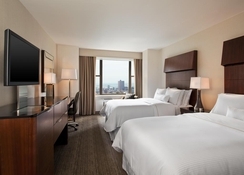 Hotel guests are near Grand Central Station terminals and New York attractions like the Empire State Building, Bryant Park and Rockefeller Centre.